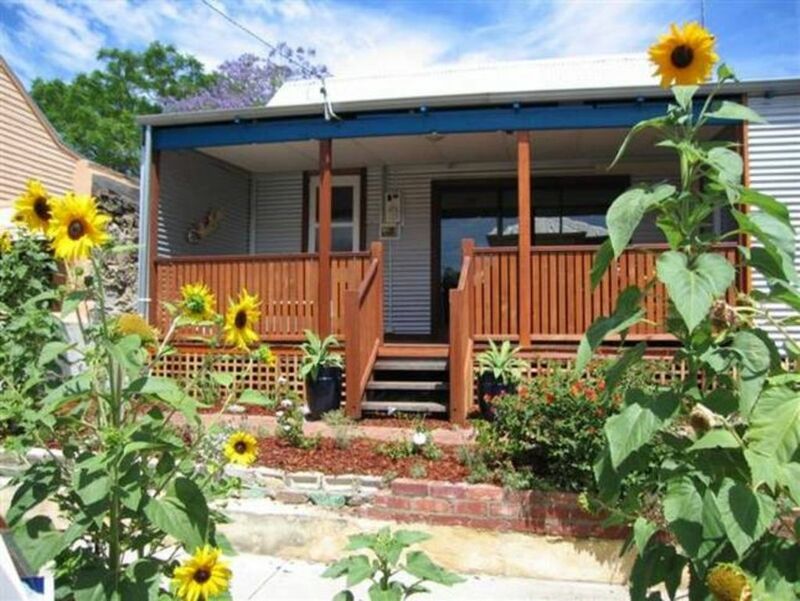 Enjoy Fremantle in this stunning 3 bed, 2 bath cottage with separate studio; both house and studio are air-conditioned only 5 min walk to South beach. From the gorgeous deck with luxurious day bed, to the artisan kitchen with a beautiful slab of unfinished timber for the work surface - this house has been presented with love of detail and with a true understanding of what Fremantle is all about. Two separate bathrooms for space, a separate studio for the grandparents or overnight guests, 3 bedrooms in the main house, restored features including floorboards and fireplace - YOU WILL LOVE THIS PLACE!! Sleeping configuration is 2 queens, 4 singles. Cot and high chair provided at no extra cost upon request. There is off street parking for 2 cars and a fully secure back garden with space for the children to explore and enjoy this peaceful location. Outdoor shower for after the beach! The house is fully equipped for children with games, toys, books and DVD's. The garden is fully secure. If you like this property and it is unavailable check out our other house called 'Fremantle Beach House'. The beach is 400M away; from this cul-de-sac street there is a path to the beautiful South Beach with a lovely playground on the way. There is a great Italian family restaurant at the end of the street 100M away. There is a group of shop about 150M away with a large supermarket, post office, pharmacy and liquor store and lots shops for total convenience. Only 200M away you will find South Terrace with loads of cafes and restaurants. There is a CAT bus stop (free Fremantle Bus) that stops 150M from the house; the bus goes to most tourist attraction in Fremantle, including the train & bus station. Reverse cycle in kitchen and lounge area, also in master bedroom and studio. All other bedrooms have ceiling fans. Dining table area seat 6 but there are plenty of chairs available if you have visiter or a larger group, there is also 3 leather back chairs at the kitchen counter, Ikea high chair available. The house was perfect for our needs and in a great location. Easy walk to the beach, shops and restaurants. Excellent spot, house had everything and is really well located to beach and shops. Place was nice and in good area.